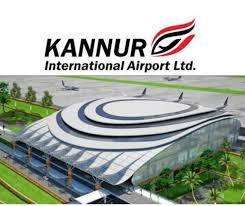 Kannur International Airport Limited (KIAL) invited application for the post of Junior Executive and other posts contractual basis. Interested candidates can apply through the prescribed format on or before 10 May 2017. Kannur International Airport Limited (KIAL) invited application for the post of Junior Executive and other posts on contractual basis. Interested candidates can apply through the prescribed format on or before 10 May 2017. Chief Operating Officer- Graduate preferably with MBA from a reputed and premier institution. Chief Security Officer- Graduate in any discipline with certification in Basic AVSEC and X-Ray Screeners' courses conducted by BCAS. Also working knowledge of computer operation. Senior Manager- Business Development and Marketing – Graduation in any discipline with MBA from a recognized University. Senior Manager - HR – Graduation in any discipline with MBA in HR from a reputed Institution. Senior Manager (Civil Engineering) - First Class Degree in Civil Engineering and M.Tech in Engineering will be desirable. Senior Manager (Fire) - Full time Bachelors’ Degree in Automobile / Mechanical /Fire Engineering from any UGC recognized university/ institute OR Successful completion of Divisional Fire Officers course from National Fire Services College, Nagpur. OR 3 years approved regular diploma in Mechanical/ Automobile / Fire / Electrical / Electronics and GiFire with Level 4 Certification or above from Institution of Fire Engineers. Manager (Airside/Terminal Operations/Airport Security) – Graduation from a recognized University. Manager/Asst Manager (Fire) - 3 years approved regular diploma in Mechanical/ Automobile / Fire / Electrical / Electronics and GiFire with Level 3 Certification or above from Institution of Fire Engineers. OR Graduate and GiFire with Level 3 Certification or above from Institution of Fire Engineers. Asst Manager (Terminal Operations/Business Development& Marketing /Airport Security /Airside Operations)- First Class Graduate in any discipline or First Class Engineering Graduate in Electrical/Civil/Electronics & Communication/Computer Science/Mechanical/Instrumental/Auto mobile/Information Technology. MBA will be a desirable additional qualification. Supervisor (Fire) - 10th pass + 3 years approved regular Diploma in Mechanical/ Automobile/ Fire/ Electrical/ Electronics with Basic Fire Training Course certificate from AAI. OR 12th pass (regular study) with Basic Fire Training Course certificate from AAI. Junior Manager (Airside/Terminal Operations/Airport Security )- First Class Graduate in any discipline or First Class Engineering Graduate in Electrical/Civil/Electronics & Communication/Computer Science/Mechanical/Instrumental/Auto mobile/Information Technology. MBA will be a desirable additional qualification. Junior Executive (Airside Operations/ Finance/Office Support/Engineering /Terminal Operations/HR/ IT & Electronics) - First Class Graduate in any discipline or First Class Engineering Graduate in Electrical/Civil/Electronics & Communication/Computer Science/Mechanical/Instrumental/Auto mobile/Information Technology. MBA will be a desirable additional qualification. Baggage Screening Executive- Graduate in any discipline and having valid screener certificate from Bureau of Civil Aviation Security (BCAS). Fire and Rescue Operators - 10th Pass + 3 years Govt. approved regular Diploma in Mechanical/Automobile/ Fire/Electrical/Electronics with minimum 50% marks. OR 12th pass (regular study) with 50% marks. Preference will be given to persons who have already completed Basic Fire Service Training at any of AAI’s Fire Training Institutes. Eligible candidates can apply through online mode. No other mode of application will be acceptable. The last date of receiving application is 10 May 2017.